Pets At Home in Aberdeen is the largest pet shop in the city and a well known UK brand. It has a free car park and disabled access and welcomes pets to accompany their owners. The staff keep dog treats at the tills to reward well behaved dogs. Nearby shops include a JJB sports shop, Asda, a shoe shop, Comet and MFI. There are shopping trolleys to make taking heavy pet food and equipment easier back to the car and the aisles have plenty of room. 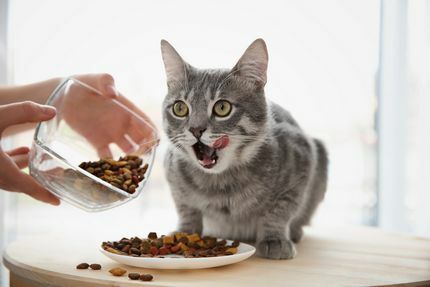 There is a wide range of dog, cat, bird, budgie, hamster, fish, rabbit food and treats as well as food for other pets. Two large sections are dedicated to dog treats and cat treats. Other accessories include kennels, beds, cages, brushes, bird tables, bedding, blankets, fish tanks, leashes, collars, etc. There are also gifts for people such as mugs with pets on them, notebooks, calendars, diaries, greeting cards, etc. Pets at Home in Aberdeen also sell small pets ranging from hamsters, rats, chipmunks, gerbils, rabbits, guinea pigs, chinchillas, ferrets, budgies and one of the largest range of tropical fish in a room of aquariums. There is usually a member of staff readily available at the aquatic section who has expert cold water and fresh water fish. The pets are really well looked after, always have fresh food, clean water and fresh bedding. I always pop along to watch the guineas and the rabbits who have a large enclosure in the middle of Pets At Home at Aberdeen. They look really happy and content together. Other facilities at Pets At Home include an information board for local pet services and an ID disc engraver machine. One shopping tip we have learnt for Pets At Home is to join their newsletter. That way you can hear about the Pets At Home special offers like buy three and only pay for two on dog chews, buy one get one free, discounts or free samples and free gifts on specific products. Telephone: 0845 6414170 for the main Pets At Home switchboard or for the local store it is (01224) 211048. Sunday - 11am until 5pm. If you own or manage a pet shop in Aberdeenshire and would like free advertising on this page then please contact me.